The largest collection of Hollywood photos is on the hollywoodphotographs.com website. With more than 12,000 vintage photos, the collection includes more than 90 subject categories. All the photographs in the collection are available for purchase. 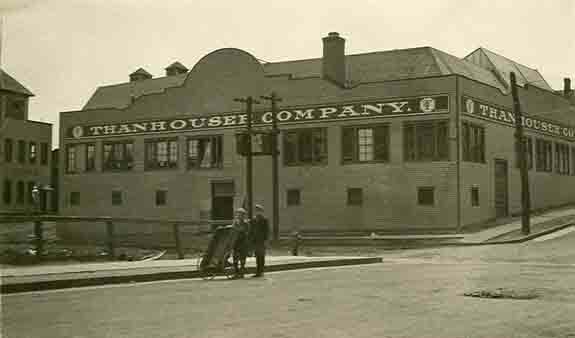 The following is the history, with vintage photographs of the Thanhouser Company. One of the earliest and most successful film manufacturers was the Thanhouser Company of New Rochelle, New York. In 1909, Edwin Thanhouser, who had managed the Academy of Music Theater in Milwaukee, Wisconsin, decided to enter the motion picture business. At that time, the film business was in its infancy and New York City, Chicago and Northern New Jersey represented the center of movie business in America. At first, Edwin Thanhouser contemplated setting up a film business in New York City, where several other companies, such as American Biograph and Vitagraph had already achieved success. Edison was actively making films not far away in Northern New Jersey. At the time, New Rochelle was considered to be the fashionable place for Broadway producers, successful actors and actresses, and others in the entertainment business to live. Edwin took the train to New Rochelle and after consulting a real estate agent settled on acquiring a recently vacated ice skating rink building at the intersection of Warren, Grove and Center Streets. 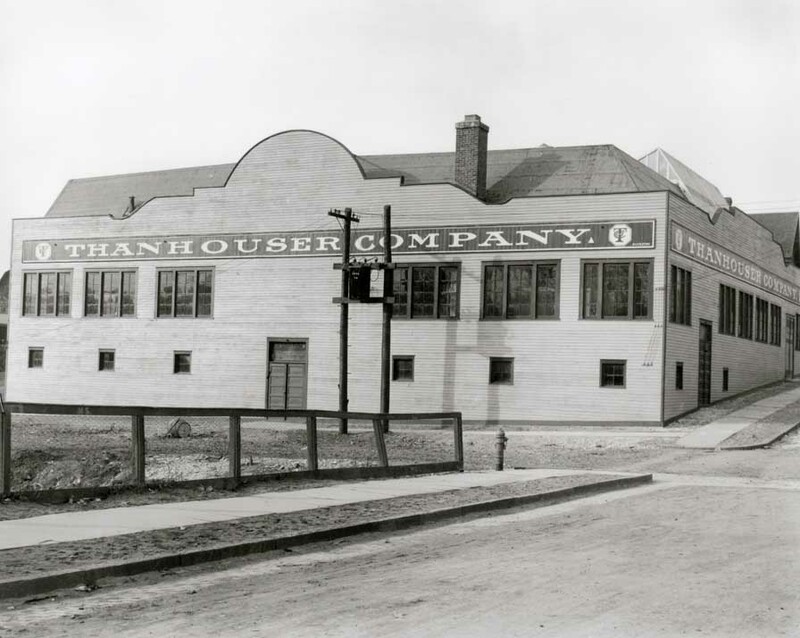 By late autumn 1909, a dozen or more people were assembled under the name of the Thanhouser Company. The first film, The Actor's Children, was released on March 15th of the next year. Like the films of other manufacturers of the time, it was one reel in length and occupied about twelve minutes worth of time when projected on the screen. The era of multiple-reel features was yet to come. Thanhouser pictures were immediately acclaimed for their story content, the photography and its artistic quality. To assist Thanhouser in its film making, the New Rochelle Fire Department established a policy that as soon as an alarm was registered, a call would be made to the studio, so that a film crew could be on the scene! Similarly, the courtroom in New Rochelle was made available to the Thanhouser people, and numerous dramas were shot there on days when the court was not in session. Several hundred actors and actresses achieved recognition under the Thanhouser banner. Best known were Florence LaBadie, who was the heroine in the 1914 serial, The Million Dollar Mystery, which lived up to its name and earned a great deal of money for its producer, making the film the most financially successful serial to that point. Florence, a veritable daredevil, leaped from cliffs, jumped from ship railings, and narrowly escaped death dozens of times. Marguerite Snow, Muriel Ostriche, William Russell, Morris Foster, Jeanne Eagels, Harry Benham and Mignon Anderson were among other actors who achieved fame at Thanouser. James Cruze, who also appeared in The Million Dollar Mystery, was the male lead in dozens of pictures. A decade after he left Thanhouser, Cruze achieved great success in Hollywood as a director and producer. One of his most successful films was the 1923 classic, “The Covered Wagon” starring J. Warren Kerrigan, Lois Wilson and Ernest Torrence. Several children achieved recognition with Thanhouser. At the top of the list was little Marie Eline, who at the age of eight was a true movie star. Reviewers likened the tiny actress' abilities to those of Sarah Bernhart, the grandam of the dramatic stage. Miss Eline was the first player to earn a nickname, "The Thanhouser Kid." Shortly there after, little Helen Badgley, barely six years old, was designated as the "Thanhouser Kidlet" and was seen in many sentimental roles. Then there was Shep, "The Thanhouser Collie," whose specialty was rescuing people from a wide assortment of disasters. On January 13, 1913, the former skating rink building burned to the ground. Fortunately, the valuable negatives were saved, and no one was injured. This event became the scenario for one of Thanhouser's most notable productions, When the Studio Burned. Within the next several years, additional structures were erected, so that by 1916 a large complex was in place. A number of outdoor stages were erected in the studio area, and on nice days it was not unusual for several film crews to be active during the daylight hours. 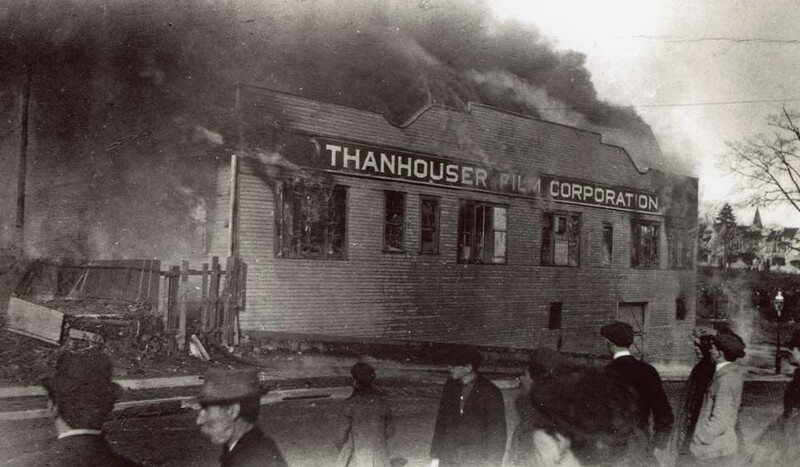 In March 1912, nearly a year before the studio fire, Edwin Thanhouser sold his interest in the studio to an investment syndicate comprised of Mutual Film Company owners. Charles J. Hite, one of Mutual’s owners, was elected president and the studio’s production manager. In late December, 1912, Hite dispatched a troupe of twenty two players and other employees to the west coast. They took up quarters a new studio at 651 Fairview Place, in Los Angeles and during their brief stay in the Los Angeles area, they made twenty-two films. Among the various locations used for their films was the future site of Carl Laemmle’s Universal City, just north of Hollywood. Edwin Thanhouser and his family departed to take an extended vacation to Europe but their trip was cut short due to the outbreak of World War I in August, 1914. Later that month, tragedy struck both the studio and the motion picture industry when Charles Hite was killed in a single car accident while driving home after a business trip to New York City. From Hite's death through the next eight or nine months, the Thanhouser studio was in limbo. A number of players departed, and the quality of films suffered. Realizing what a success Edwin Thanhouser had been in the years before he sold his interests, the studio owners approached Thanhouser about resuming the management of the company which, by that time, was known as the Thanhouser Film Corporation. He was hired at a very attractive salary, and enthusiastically returned to the studio in the spring of 1915. For the next two years or so, a number of very important films were released, mostly of the multiple-reel "feature" type. As before, Thanhouser films received many favorable reviews for their acting quality and dramatic content. In 1917, due to the war, the film industry was in the doldrums. By 1918, Edison quit film making. Studios laid off people, the quantity of films produced declined and many theaters closed their doors. Even though the Thanhouser Film Company was struggling, Florence LaBadie’s career was thriving, having made an astonishing 185 films since 1909. In early summer, 1917 she announced she was leaving Thanhouser to pursue her career with other companies. However, on August 28, 1917, Florence was in a tragic automobile accident that left her with a fractured pelvis. Hospitalized, she clung to life for more than six weeks and seemed to be approving, but suddenly died of infection on October 13, 1917. Gradually the Thanhouser Film Corporation phased out its activities, and by the end of the summer of 1917, the studio had been leased to another company, the Clara Kimball Young Film Corporation. 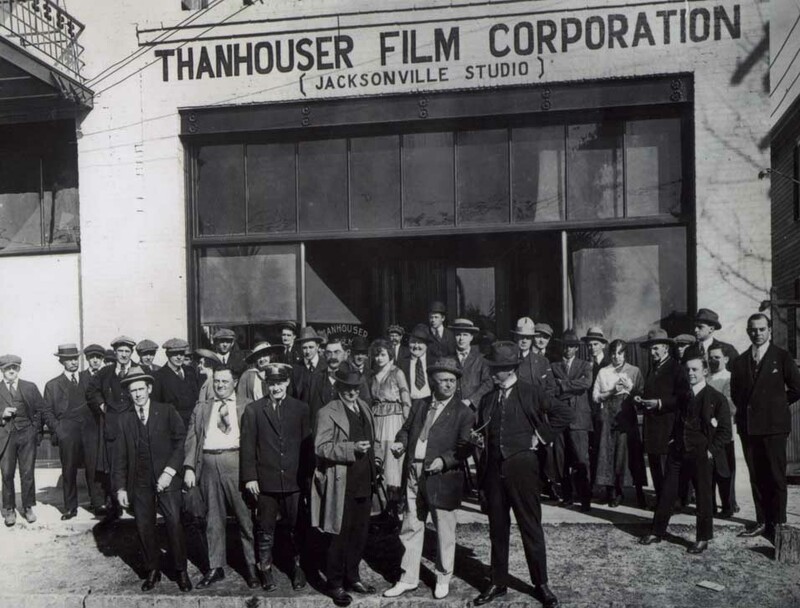 After eight successful years of “making movies”, the Thanhouser Film Corporation simply closed up shop -- but left a rich legacy of over 1,000 films. Purchase vintage Hollywood Photos from hollywoodphotographs.com.